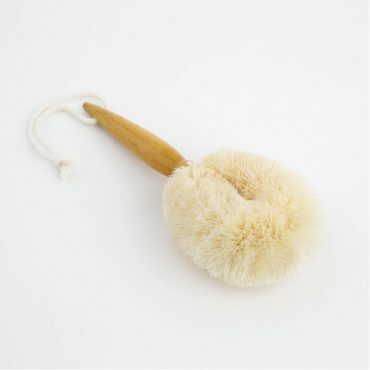 Eco Max Travel Body Brush (Medium Bristle) is handmade from natural sisal which is a form of cactus, an ideal medium strength vegetable fibre perfect for use as a travel dry body brush or wet in the bath or shower. Eco Max Brushes are handmade, Fair Trade, Vegan and biodegradable. Care of your brush: Wash regularly with a natural antiseptic and dry in the sun. Do not leave damp or in water for prolonged periods. Compost at the end of their life.